Increasing understanding and improving relations among a population that is becoming increasingly diverse-multi-racial, multi-cultural, multi-ethnic with vast social, educational and economic divides-is is more important than ever. The Census Bureau estimates that within the next twenty years or more, the United States will be a nation of minorities. It is critical that there are concerted and ongoing efforts to bridge the racial and ethnic divides by providing multiple educational avenues for citizens of all ages to access resources and participate in ongoing dialogues and discussions about issues and matters of race. 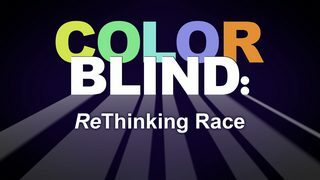 USAonRace.com is an excellent resource, coving on a daily basis issues about race, race relations, racism and discrimination. It offers a convenient and easily accessible way for individuals, small groups, and communities to have such conversations online through our Race Relations Forums. What do you think about issues like: The proposed immigration reform legislation, closing the educational achievement gap, Affirmative Action policies in equal access to education, jobs, housing? This a place where you can suggest your our topics to discuss.